Sweet Tobacco by Mad Hatter Juice is a must-try for tobacco purists. 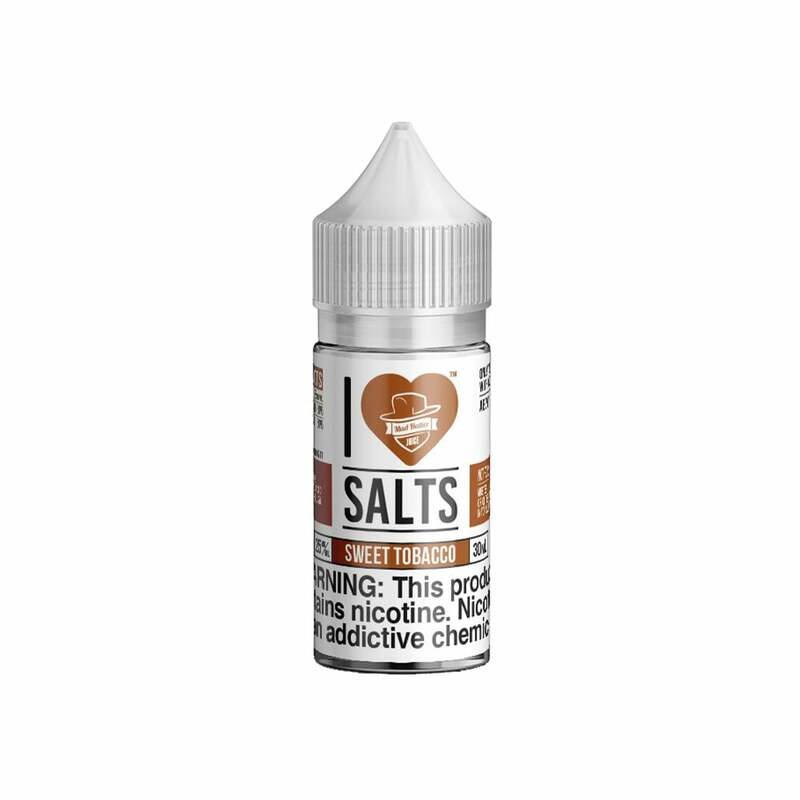 A classic earthy tobacco flavor topped off with a touch of sugary vanilla custard and backed up with a smooth nicotine salt formula, Mad Hatter Sweet Tobacco is similar to RY4 blends and is great as an all-day vape. It's really sweet. Tastes better when I add some classic tobacco flavor along with it. If you like tobacco this is a JOKE!!!! Super light and sweet no depth whatsoever. Nice flavor. A bit sweeter than expected. This was my first order from Electric Tobacconist and I was pleased with how quickly it arrived. This is another good tobacco-flavored product. One of the best things about it is that it's sweet but not TOO sweet, which is something I really value in e-juice, as too many flavors are too sweet for me right out of the bottle. This one's just about on the nose, and I can recommend it to tobacco-seekers out there. Fairly well balanced. Not to sweet and not overly robust on the tobacco flavor. I would buy it again. I found Electric Tobacconist easily online. The website is very user-friendly, really easy to find all kinds of interesting flavors. Sweet tobacco is my favorite. The bottle was bigger than I expected and it shipped right on time! It tastes sickly. Barely any tobacco taste at all. Excellent flavor.. Sometimes you want something that isn't sweet or fruity, this has a great balance of tobacco and a cream flavor.. Best tobacco flavor I have found yet..